However there are some typographic symbols that have fallen out of fashion, and it&apos;s the mission of the Progressive Punctuation movement to bring them back. 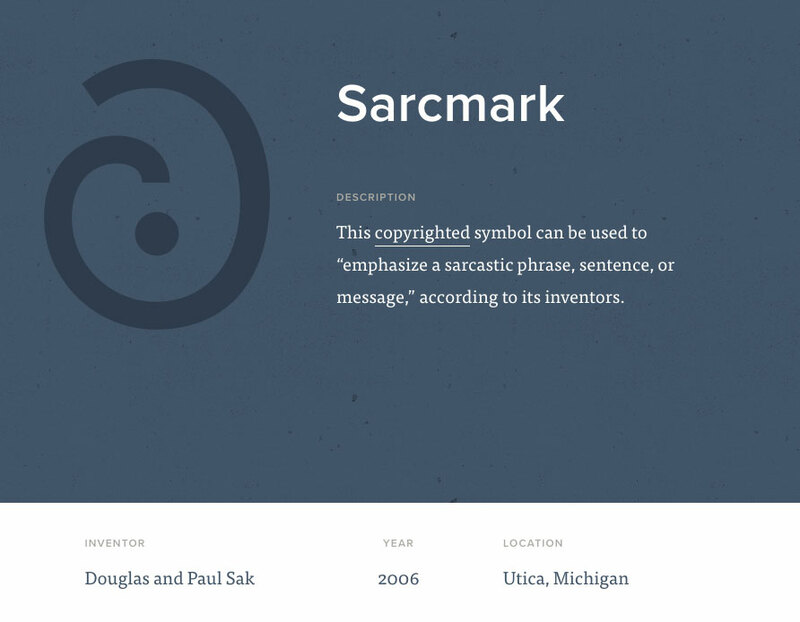 Chances are you&apos;ve sometimes wished that the forgotten symbols dusted off by Progressive Punctuation – such as the sarcasm mark – were more widely used. After all, written communication is a complex thing, and it can be easy to misinterpret what a person means simply by reading their words alone. As Progressive Punctuation explains on its site, "nuances like sarcasm, certitude, and irony can be difficult to convey because of the gap between our expression in verbal language versus written language." So what are these mysterious symbols, and how can they help us? The full list of 14 symbols on the Progressive Punctuation site covers emotions and ideas such as sarcasm, doubt, and irony. You could argue that if a person wants to convey these feelings then they should rely on their words instead of their punctuation, but we&apos;ve all probably had a straightforward text message or email completely misinterpreted at some point because they read differently to how the writer intended. Plus, they look more professional than emoji. On the Progressive Punctuation site you can explore the meanings behind all of these forgotten typographic symbols, as well as finding out who invented them and examples of when they should be used. By raising awareness of these symbols, Progressive Punctuation wants to bring them back into the mainstream and get typographers to include them in their work. The site is also interested in hearing about any symbols it has missed. So if you know about one that isn&apos;t yet on the homepage, or perhaps you&apos;ve even invented your own, be sure to send Progressive Punctuation an email to let it know all about it.